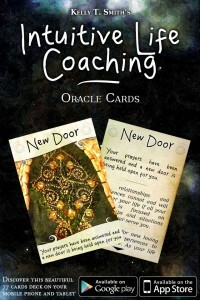 Welcome to the Indie Goes Oracle Cards collection! 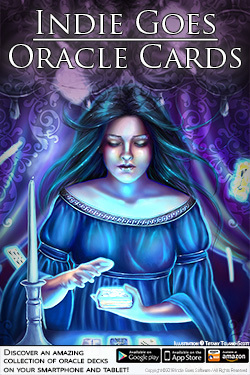 In a single app, you will find a large collection of oracle decks, covering many themes. If you already used our single apps, we recommend switching to this app instead. 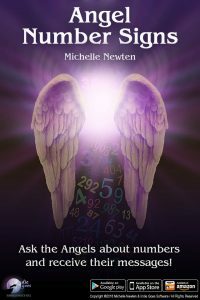 The Angels favorite way to communicate with us is through Angel signs, and numbers are one of their favorite mediums. Every number has its own inherent meaning and energetic vibration. The Angels love to deliver numbers, repeated multiple number patterns such as 11, 22, 33, 44 and number sequences such as 1234 as a means to bring you guidance and reassurance. This app will assist you to understand the messages that you are seeing on a daily basis. The Angels can deliver a number sign to you in many ways such as on a clock, computer, your phone, on a sign, house number, in a book, on your shopping docket, in a song plus they love to draw your attention to car number plates too. The means in which numbers are presented is endless and synchronicity plays a huge part in the Angelic orchestration of the numbers appearance. The original paintings were created after Roxi lost her nine year old son, her health and her mother in a very short period of time. She focused on healing with art therapy. The divine feminine is featured strongly throughout, as are the language of flowers and brilliant colours to uplift and offer solace and balance. 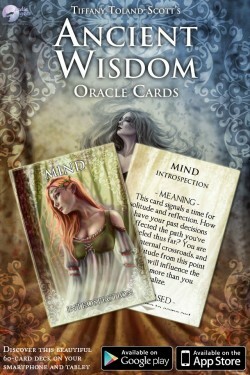 Each card offers a quick guidance, and a complete meditation to take the viewer deeper into the insights of the images. Helpful suggestions are given to encourage progress on your journey of healing. The concept behind the deck is that Joy shared is doubled, and Sorrow shared is halved. On every spiritual journey, the biggest lesson may be how to love yourself, your gifts, and your challenges. With self-love, you can unlock the power to heal yourself, to overcome your self-sabotaging habits, and transform your life. This 44-card oracle is suitable for both beginners and experienced seekers to use for accessing your own inner truth and wisdom. The Self-Love Oracle features the fantasy watercolour paintings of Janet Chui, and her advice for self-care, setting your boundaries, loving yourself, and finding your peace no matter what the situation. Single card draws can provide quick advice, while complex spreads may reveal deeper issues of self-worth. 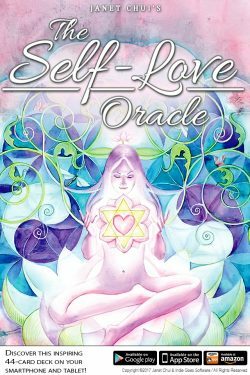 Gift yourself the Self-Love oracle to embark on the journey of healing and self-empowerment. Animals are not only wonderful companions on this earth, they are also powerful symbols. In shamanism, animal spirits – also called totem animals – are invoked for guidance and inspiration. They are used as archetypes and helpers, since every animal has a very specific energy, with unique talents and skills we can call upon. The Spirit Animal Oracle, created by Frédéric Calendini, is a beautifully illustrated 48-card deck that will help you reconnect with these benevolent and wise guides. Use this deck to get deep reflections and insights about your daily issues or long term projects. Draw a single card for a quick reading, or explore more complex spreads for deeper understanding. You will be amazed at all the great advice and support the animal spirits have to offer! 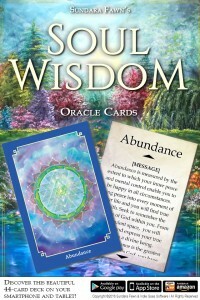 Soul Wisdom Cards use the power of imagery, infused with Divine light channeled into each card. The images on the Wisdom Cards are from original paintings carefully chosen over the past 30 years. There are 44 Wisdom Cards; each one has a story and message to share about a specific topic. By using evocative images and symbols pertaining to the topic, you are able to subconsciously tap into deep underlying messages. These Wisdom Cards are designed to guide you into a deeper understanding of truth and encourage you to see with a broader vision. Offering clarity, wisdom and understanding, the Wisdom Cards will help you begin to see and experience the world through the eyes of your soul. This way of seeing leads to Self-Realization. The deck contains 52 enchanting images with simple, engaging meanings to help children learn in a safe and uplifting way. The deck is non-denominational with a focus on providing children with positive, constructive and supportive ways to think about the world around them. 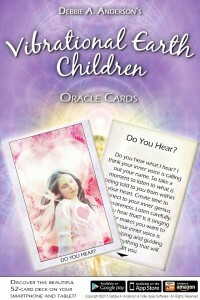 Each card’s message can be explored alone or with an adult. 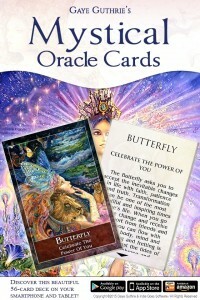 The Mystical Oracle Cards are a form of divination inspired by the Gods, Goddesses, Angels or Spirit Guides. They offer prophetic predictions or guidance for the now and the future. You hold within you the power and free will of choice to change your life, circumstances and adventures if you wish. 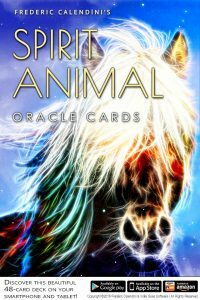 Rich with substance and meaning, and beautifully illustrated, this deck includes Angels, Archangels, Fairies, Animal Totems and Magical Insights. The cards have captivating messages that are encouraging and motivating. The enchanting and mythical images by Josephine Wall capture Gaye’s inspirational messages and bring the words to life. The cards and spreads are easy to interpret, so you can give an accurate reading on yourself and others. Created for you, to enjoy a magical heartfelt experience. 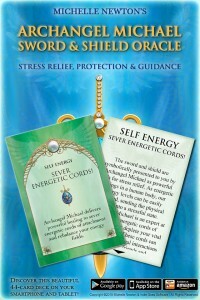 As well as helping us feel better emotionally, releasing heavy, trapped emotional energies is vital to maintain good health. Emotions have energy, they are real! Energy does not just disappear if it’s held in or repressed. When we cannot express ourselves on an emotional or psychological level the energy becomes embodied until it manifests in the physical body as dis-ease or pain. Releasing painful emotions and transforming them into peace and acceptance is good for your health! 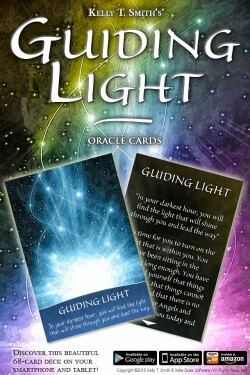 The Guiding Light Oracle cards are designed to take you deep into the hidden areas of your psyche, helping you to see the bigger picture more than ever before. These cards encourage you to move out of your own way and go deep inside your inner self to find the guiding light within. 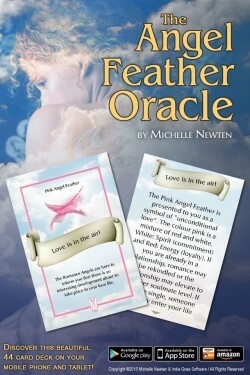 The Archangel Michael Sword & Shield Oracle by Michelle Newton takes you on a journey through the four suits of the Archangelic Sacred Circle of Protection: The Sword (Action), The Shield (Protection), The Sword & Shield (Stress Relief) and The Sacred Keys (Spiritual Gifts from Heaven). Here you will receive Archangel Michael’s profound advice to relieve stress and pressure in your life, learn new powerful protection techniques and receive his Divine Archangelic guidance that will ease and comfort. The Sword & Shield Oracle of Archangel Michael provides a means for personal spiritual development and advancement and is a unique source of wisdom for all. The deck is suitable for all but also offers a more advanced level of working with Archangel Michael for those who have been connected with him for some time. 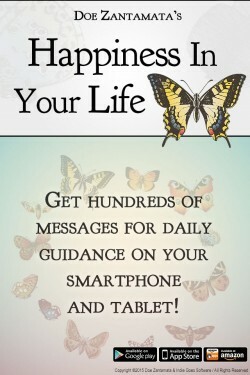 Quotes About Living is a wonderful oracle and meditation tool consisting of key quotes from the Happiness in Your Life book series, by Doe Zantamata. Have you ever had similar things happen that caused you to pause? Or have you ever seen things play out in your life over and over again, but you’re not quite sure what the lesson is, or how to change the outcome from a bad one to a good one — for everyone? If yes, Quotes About Living could end up being your favorite app ever. The Wisdom Within Oracle Cards are designed to uplift, inspire, and empower you to remember the very best in yourself and to open the floodgates of wisdom, light, and joy within you. These cards point you in the direction of discovering your own inner truth, knowing that the most meaningful and enduring answers are those that are found within. 1. Introduces a novel perspective or a new way of thinking about something which opens your mind to new possibilities and solutions that didn’t exist before. 2. Validates an inner feeling or knowing that you are either headed in the right direction, or you are somehow off course and offers ideas about how to get back on track. 3. Asks meaningful questions to support you in remembering what you already know deep within, or calls awareness to an inherent truth you may know, but had momentarily forgotten. 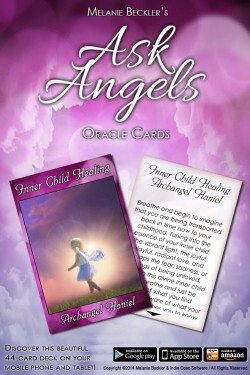 The angel messages found within the Ask Angels Oracle App will help you to lift in love to connect with the guidance, healing, and wisdom of the angels. 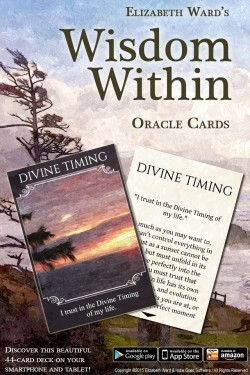 When you choose a card, notice the thoughts or feelings you have in response to the angel card you draw, and while you are reading the card description. The Ask Angels Oracle cards are based on the angel messages channeled by Melanie Beckler, and carry with them the uplifting frequency and presence of the Angelic Realms. 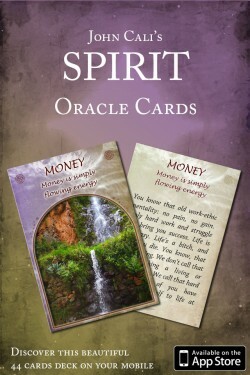 Whether you are seeking to elevate your mood or ask your angels for help and guidance, this oracle app can deliver just that. 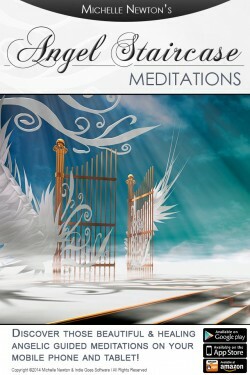 Connecting with Angels is fun and rewarding on a deeply spiritual level. You have angels who are always there with you, ready and willing to help by offering their unconditional love and guidance. Your angels will never intervene without your request, but they are always there with you, even as you read these words. You simply need to ask. 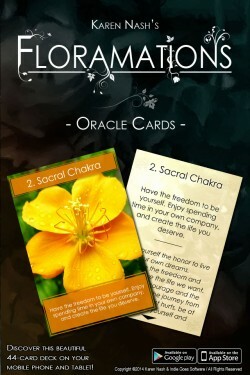 The Floramations Oracle Card Deck brings you 44 cards, combining the love of Mother Nature and Messages from Spirit. Joining the two worlds together to work as one. 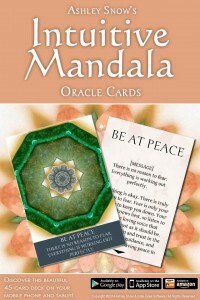 Each card comprises of a beautiful flower and message related to a situation in your life. 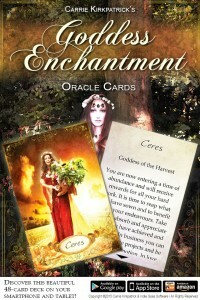 With additional information used in this app, and by using this app daily, the Floramations Oracle Card Deck will bring you the inspiration and clarification you need at this time. With the busy lives we lead, we forget to stop and smell the roses! By using this deck, you can re-connect with nature and be inspired by heaven. Then, when you step outside you can relate to the flowers you notice, and heed the message from your Spirit Guides and Loved ones in the Spirit World to guide you on your path. Enter a world of enchantment and myth with Tiffany Toland-Scott’s Ancient Wisdom Oracle Deck. This deck includes 60 fully-illustrated cards featuring Tiffany’s goddess, fairy, witch, and mermaid art. Based on the major arcana and expanded from there, this deck is designed to guide you through your daily life in matters of love, work, money, creativity, spirituality, and much more. Each card is illustrated in full-color and features the title of the card and a keyword or phrase to help even novice readers memorize the cards quickly. 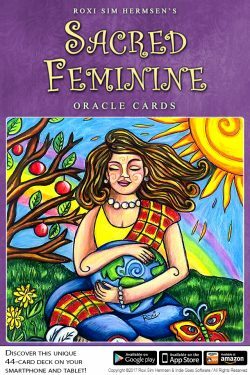 The deck includes upright and reversed meanings for every card, giving you an enormous range of messages in your readings. Beyond Affirmations guided meditations offer you a simple and safe way to take care of your physical, emotional and spiritual health and well-being. 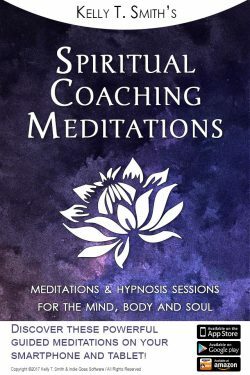 Designed to support your healing process, these peaceful yet powerful meditations guide you through releasing the specific emotional issues which create pain and psychological blocks. Your body is a field of consciousness, a product of consciousness. You can affect its condition with your conscious awareness. 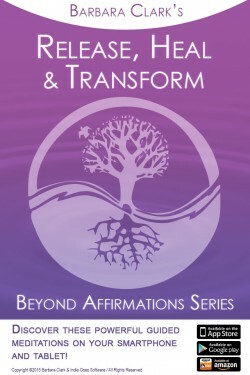 Beyond Affirmations guided meditations help you bring conscious awareness to your emotional challenges, lead and support you through releasing them and replace them with positive, healing and empowering messages – the messages your body wants to hear! Love and gratitude not only feel good, they are an investment in your health and well-being. 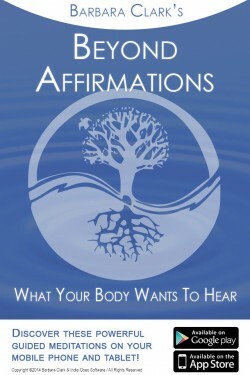 Beyond Affirmations guided meditations help you appreciate your body, feel love and gratitude and help you tap in to your own powerful, natural healing abilities. 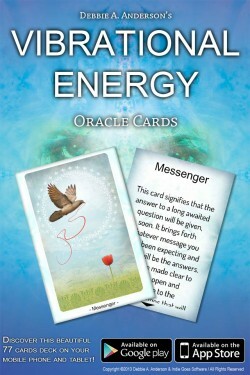 This deck comprises a beautiful combination of ‘Colour Energy’ and ‘Angelic Guidance’. 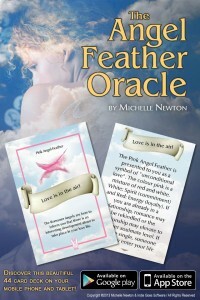 The app assists you with performing and interpreting your Angel Feather readings. Because the definitions for each card are uncomplicated and easy to read, these oracle cards make it accessible for the user to tap into the wisdom of their own intuition. The Five Vibrational Dimensions of the Soul is a very special spread where you can do your own reading, taking you through the five levels of your soul assisting you to get answers to Universal Truths that you need to acknowledge. These cards reflect the pervasive changes in our lives helping users with guidance to get past blocks. The messages give them insights on what might be holding them back. The definitions are ‘grounded’ so will help guide the user towards the direction they need to go at that moment. Sort of like clearing the fog that sometimes surrounds us, helping us to get back in step with our own vibrational energy. The heart and soul of self-development is being able to do readings for yourself whenever you want. The synchronicities of your higher self and connecting with the angels makes it super accessible to be able to guide your soul to what it needs, wants and desires. 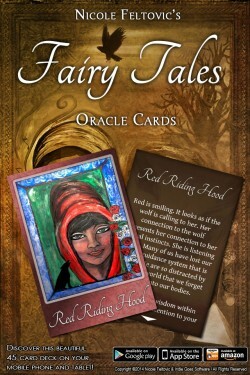 Oracle cards, unlike Tarot are simpler to use so you can get the same way to get insights and direction. 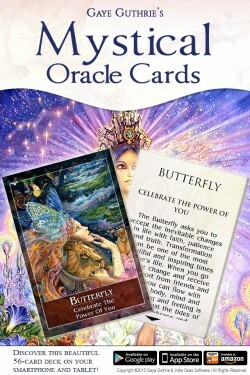 These oracle cards also introduce you to your strengths as well as your gifts, and guide you through your situation with solutions, advice and wisdom in regard to your problem or concern. They show you your accomplishments and encourage you to celebrate them. They are intuitive by nature and you will receive messages from your guides and angels to guide you on your path to greatness! If you are ready to go within, to ask the right questions, to see the truth and take full responsibility for your life and your future, these are the oracle cards for you. You may use these messages as often and for whatever reasons you wish. 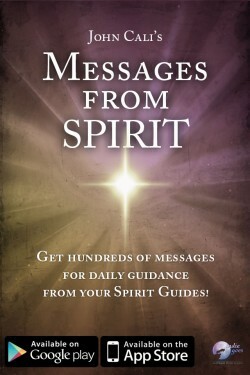 However, you’ll find the messages are particularly powerful in dealing with the daily issues we all face. You’ll be amazed at the synchronicity of the process—you’ll get the exact message you need for the daily issues you’re experiencing today. Life is about change. Success and happiness result from how well you manage the changes in your life. The I Ching, or Book of Changes, is a sophisticated divination system that will help you make better decisions and enjoy perfect timing, as you achieve or receive what you want or need. The Visionary I Ching is a modern, non-sexist version of the ancient oracle that will stimulate your intuition, provide timeless wisdom, and show you how any situation or dilemma can evolve. When using Visionary I Ching, find a quiet place and take at least a minute to calm your mind. Get clear about the situation or dilemma that is on your mind and write it down as a topic (not a question). Then cast your hexagram. The reading you produce will provide uncanny insight as to what needs your attention at this time. Be receptive, read between the lines, and allow insights to arise. The guidance of the I Ching will activate and resonate with your intuition. If you get even one outside-the-box inspiration that helps you make a more skillful or creative decision, the I Ching has done its job! 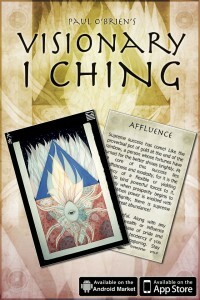 For further training on how to get the most benefit from using the I Ching for visionary decision-making, visit the non-profit Divination Foundation website at www.Divination.com. As Pathfinders, we are on a journey of self-discovery, learning that there are many paths that can lead you ‘home’. The Crystal Wind website was designed to provide all seekers, whatever path they follow, the ability to explore all aspects of their divinity. The Crystal Wind Oracle mirrors this website and helps you, the seeker, to find answers that help you on your journey. ‘The Crystal Wind Oracle is a means to observe your mind and reflect on your heart. Featuring the fantasy artwork of Lisa Iris, this full colour deck is absolutely stunning! The art is combined with Crystal Wind’s inspired text and interpretations, composed through meditation and working with Spirit Guides. The Crystal Wind Oracle brings clarity and purpose to your journey by reaching into your soul and asking you to find the answers within. These cards will activate your intuitive capabilities, guiding you to feel, listen and live from your heart. 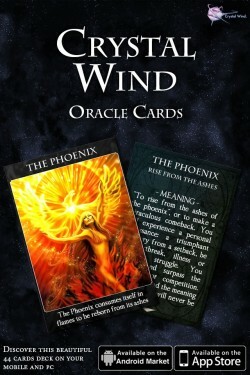 As a tool for your journey, The Crystal Wind Oracle provides the signs and guideposts along the way. The insights will flow from you. What you think, you create! What you feel, you manifest! When using The Crystal Wind Oracle, seek a quiet place and take at least one minute to calm and clear your mind. Ask the question from your heart and select a card. Your card will provide an uncanny insight as to what needs your attention, even if it doesn’t answer your question directly. Quiet your mind and your heart will follow. 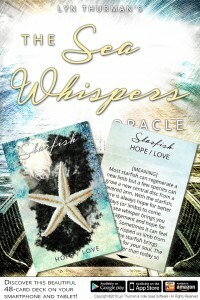 The Crystal Wind Oracle leads you to answers that will resonate from within.